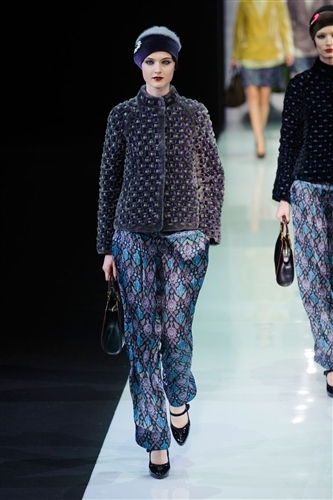 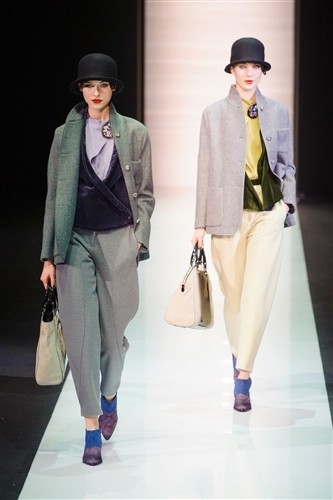 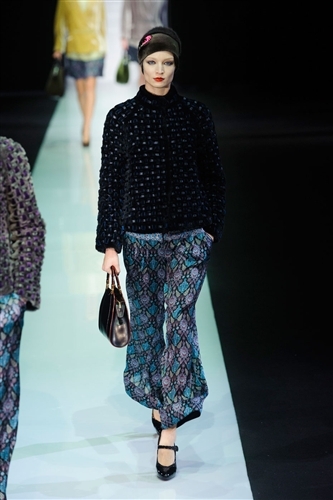 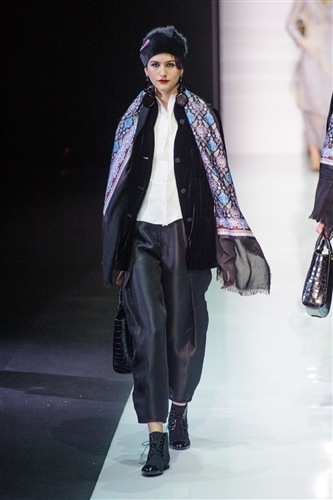 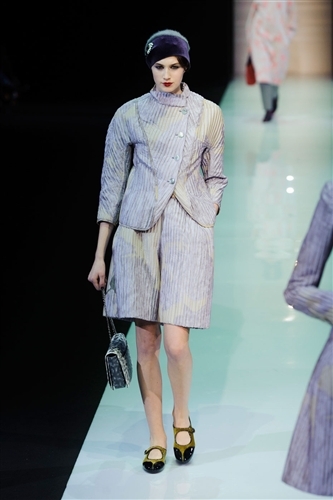 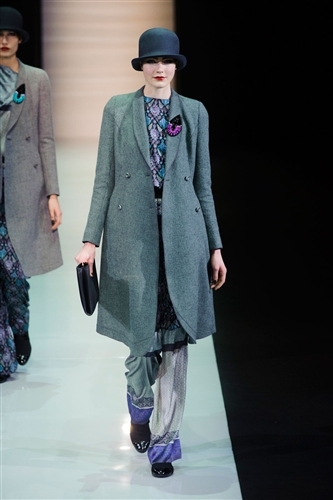 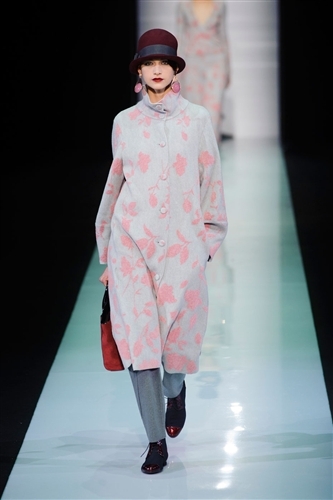 Giorgio Armani presented a chic and understated collection that brought some unexpected lights and brights to the Autumn/Winter season. 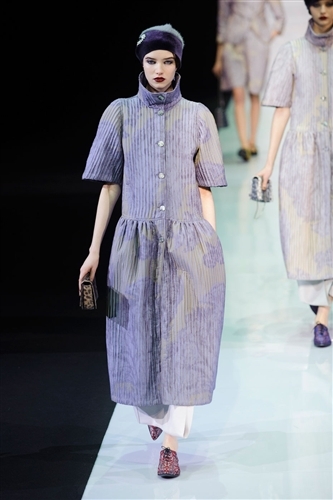 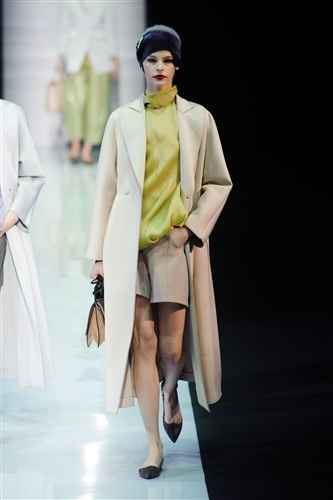 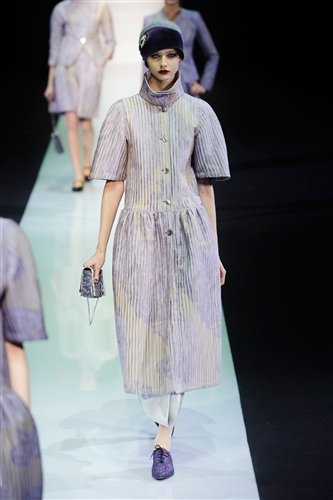 Giorgio drew on a wide colour palette including rose, pistachio, lilac and grey. 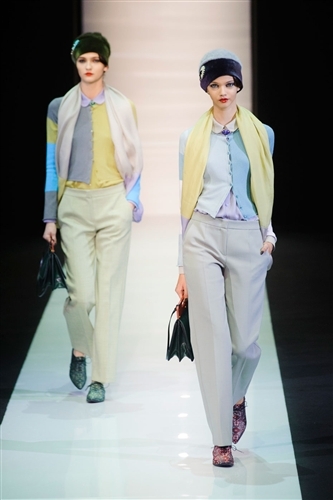 The selection of pastel and faded-out colours mesmerised the audience and transported them to taking long walks along the sea side. 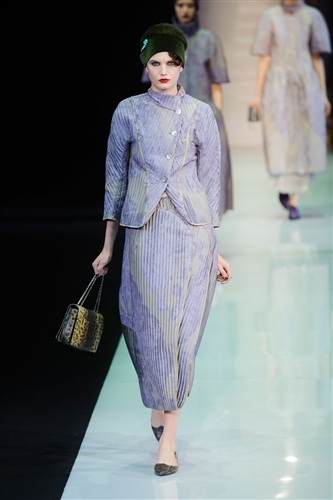 The tailoring was distinctly 20s with cloche hats and dropped waists, this nod to time gone by was executed perfectly and carried a frivolous edge. 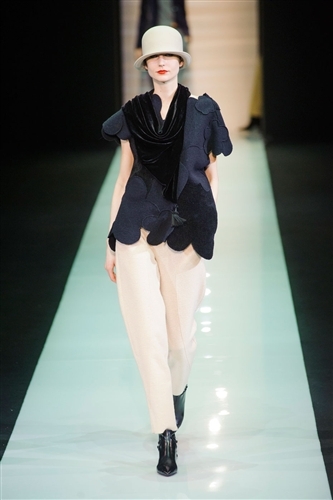 The lines were clean and soft, exact shapes draped from the models in a variety of textures including soft knitwear and velvet. 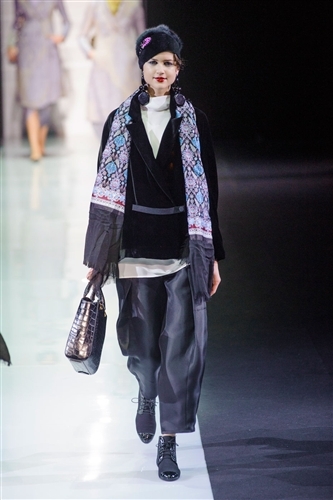 The collection had a lighter feel than what we’ve come to expect of Armani, but the slick tailoring and precise finishing kept it looking refined.